To schedule a consultation with Dr. Pontell or for more information, call 1-800-321-LIFT. Dr. Pontell is double board-certified by the American Board of Facial Plastic and Reconstructive Surgery and the American Board of Otolaryngology. 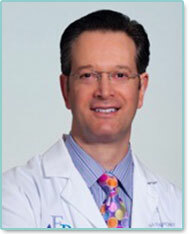 The Philadelphia, Pennsylvania (PA) facial plastic surgeon received his undergraduate degree from Rutgers College in New Brunswick, New Jersey and his medical degree from Jefferson Medical College in Philadelphia, Pennsylvania. He completed his specialized residency in Otolaryngology-Head and Neck Surgery at State University of New York Health Science Center in Brooklyn, New York. He then completed a fellowship in facial plastic and reconstructive surgery at Mount Sinai Medical Center in New York, New York. Dr. Pontell has maintained a successful private practice servicing the Philadelphia, Pennsylvania area along with Delaware and South New Jersey. As a result of his thorough training and extensive experience in facial plastic surgery, Dr. Pontell is able to offer a vast array of facial cosmetic and reconstructive procedures. He has performed each procedure numerous times, and he is skilled at addressing unique aesthetic challenges and issues encountered during surgery.